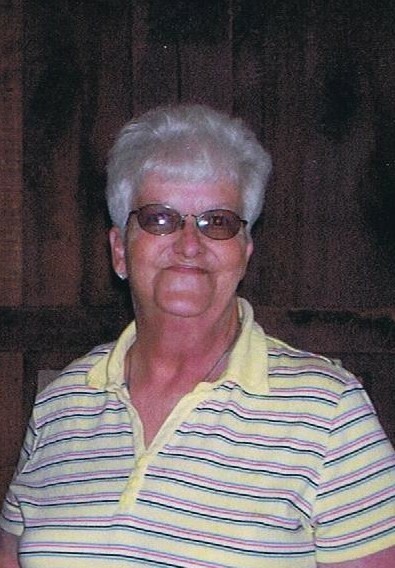 Funeral Services for Linda May Stober will be held at 10:00AM Saturday, March 30, 2019 at The Price - McElroy Funeral Home in Kenton with Rev. Dennis Burns officiating. Burial will follow in Otterbein Cemetery. Friends and Family may visit from 4:00PM till 8:00PM Friday, March 29, 2019 at the funeral home. She died on Tuesday, March 26, 2019 at Lima Memorial Hospital. She was born on October 2, 1943 in Kenton to the late John and Nellie (Keith) Gossard. On March 25, 1967 she married Roger Stober and he survives in Kenton. Also surviving are a son; Shane (Courtney) Stober of Kenton. 1 sister; Nancy Kay Randall of Kenton. 1 Grandchild; Nellie Anne Stober. Numerous nieces and nephews. She was preceded in death by 2 sisters; Alice Kneisley and Virginia Gossard. 6 brothers; Burton, David, Ralph, Jim, John and Lauren. Linda was a true homemaker who loved taking care of her family. She especially enjoyed watching her granddaughter. In her younger years she enjoyed riding horses.